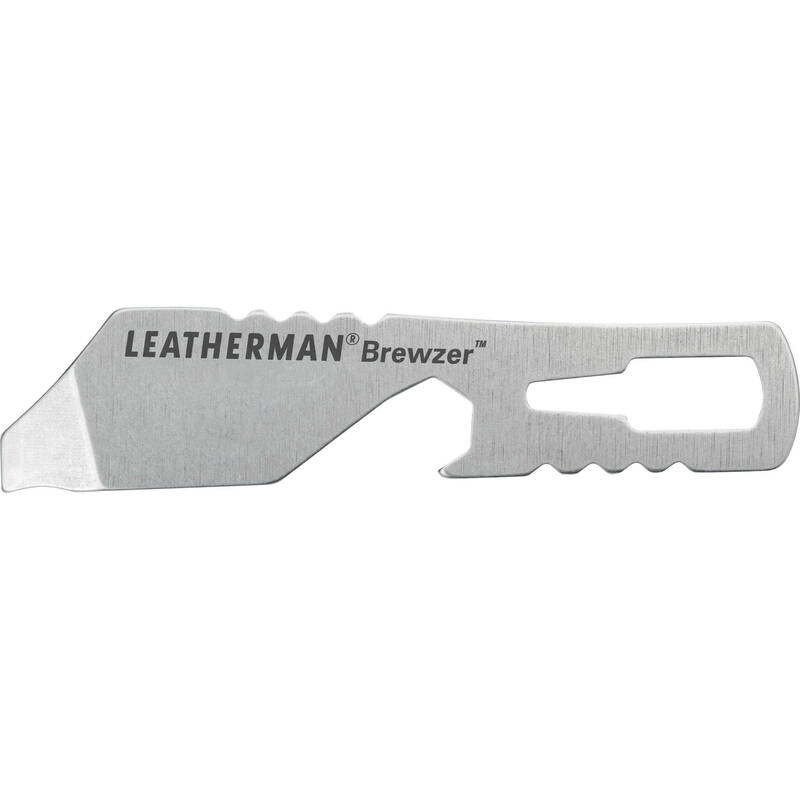 The Leatherman Brewzer features stainless steel construction with a stainless finish and includes a bottle opener and mini pry. The 0.5 oz Brewzer stows easily or attaches to your key chain making it readily accessible when you need it. The Brewzer features clamshell packaging, and it's assembled in the USA.